Some projects require very little planning; for example, if you need to get your car inspected, all you need to do is check the internet for an inspection location and set up a time. However, some projects will require a lot of planning—they will either have your attention even after you have determined the next step in them, or information about them will show up ad hoc. For these types of projects, you need to plan accordingly. 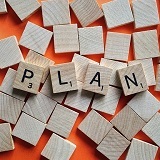 Follow these steps and you will be able to come up with a clear plan of action that will definitely help you complete your project successfully. Let your mind relax and get creative about your next-step options. Write down all your ideas, whether on a piece of paper or on a computer. You may have various notes and support materials, so you need to sort through and categorize them so as to understand them better. This is especially important for the projects where information shows up ad hoc. Set up meetings with the people you’d like to have involved in the brainstorming and decision-making processes. Your current notes may not be extensive enough, so fill up any holes with your own information. You may need to consult with others, look through old files, or search the internet.